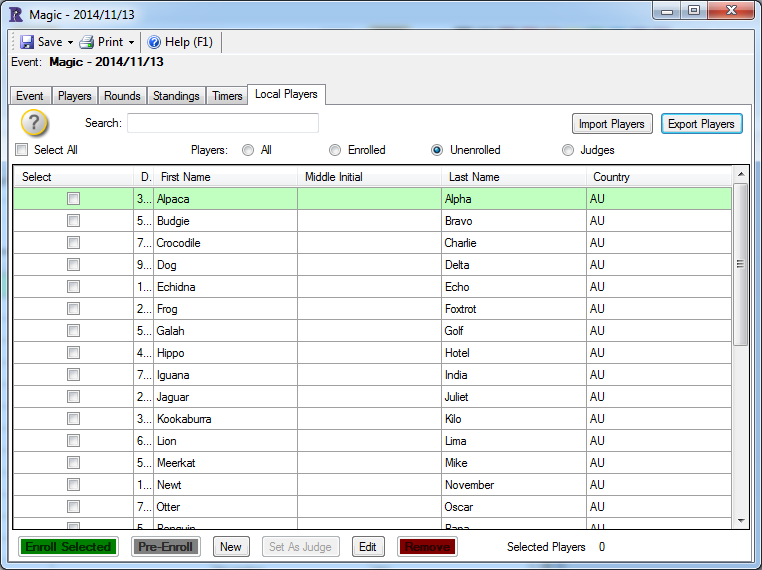 Tips for WER Scorekeeping and more! 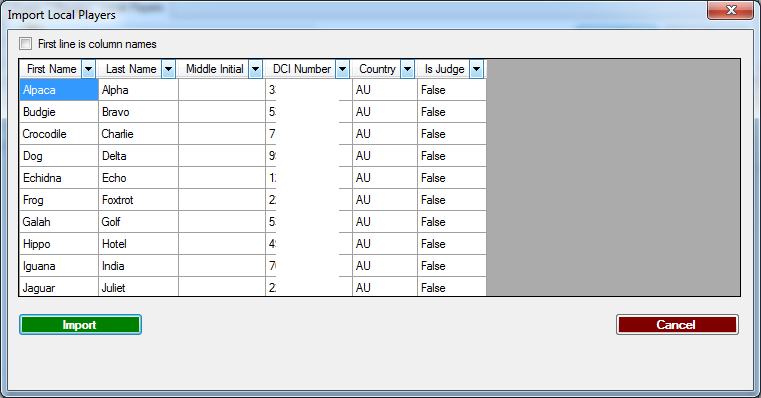 Your Local Player Database in WER (LPDB) is one of the biggest assets in getting a store level event underway quickly. If you’ve got a queue of players you know typing their names is going to be much faster than waiting for each player to fumble around and pull their DCI card out of their wallet or bring it up on their phone. If something happens to your LPDB or the computer it’s on, that information is gone forever. You can’t get it back except by looking up all your local players again or asking them for their DCI numbers, either of which are going to take up time you could be better spending with other customers or on other tasks. Open any event in WER; future, active or completed, it doesn’t matter. Click “export players” and save the Local Players Database file with a sensible name. I recommend something like “local players – dd-mm-yy” so you can easily find the most recent version, because backups are a frequent thing, right? Upload it to Dropbox, Google Drive, email it to yourself or do something to make sure it’s safe if your computer explodes 10 seconds later. To import the LPDB again open any event in WER; future, active or completed. Hopefully you see the following popup! If not, don’t worry, the import has likely been successful anyway except for a small handful of players. Most errors are just from having one or two invalid DCI numbers like “1009 Do Not Use” in your LPDB somehow. It’s also fine to do an import if you already have a bunch of players in there, WER will just ignore any duplicates. WER Update 1/5/15 – CAUTION! Welcome to the Store Events blog!